Meanwhile lets just say that we are proud Marco Hazan contributed a whooping 20 entries. “Le Bonbon” made an article about Humans of Paris. You can read it here . 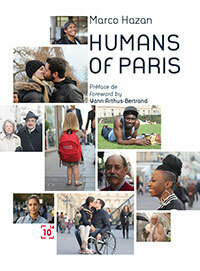 “Le Parisien” made an article about Humans of Paris. You can read it here . Humans of Paris in Metronews. You can read the article here .